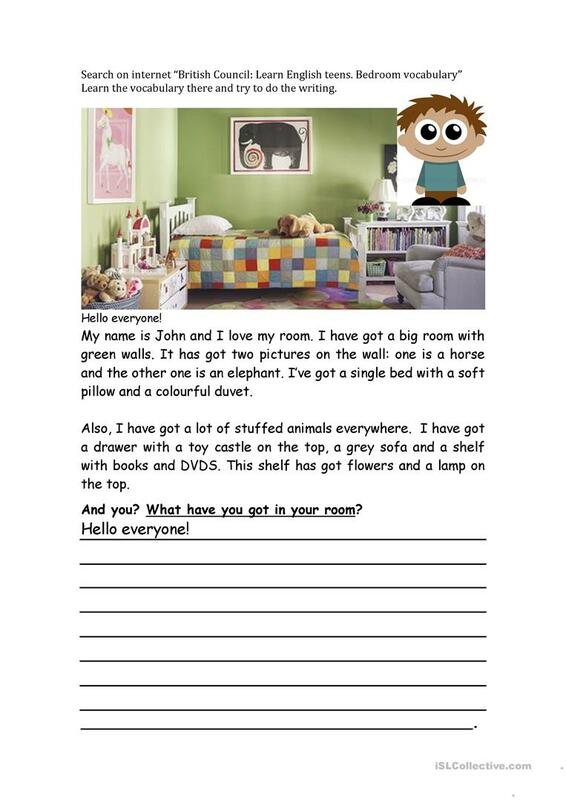 Elementary writing about the students room. - Apply Have got or Has got in a writing. This printable, downloadable handout is recommended for elementary school students at Beginner (pre-A1) and Elementary (A1) level. It is a useful material for consolidating HAVE GOT or HAS GOT and Prepositions of place in English, and is excellent for developing your class' Writing skills. It focuses on the topic and words of Colours, Home and Rooms in the house. efancelli is from/lives in Spain and has been a member of iSLCollective since 2018-12-05 19:47:56. efancelli last logged in on 2019-02-05 14:34:53, and has shared 1 resources on iSLCollective so far.